The language spoken in Turkey is, you guessed it, Turkish! 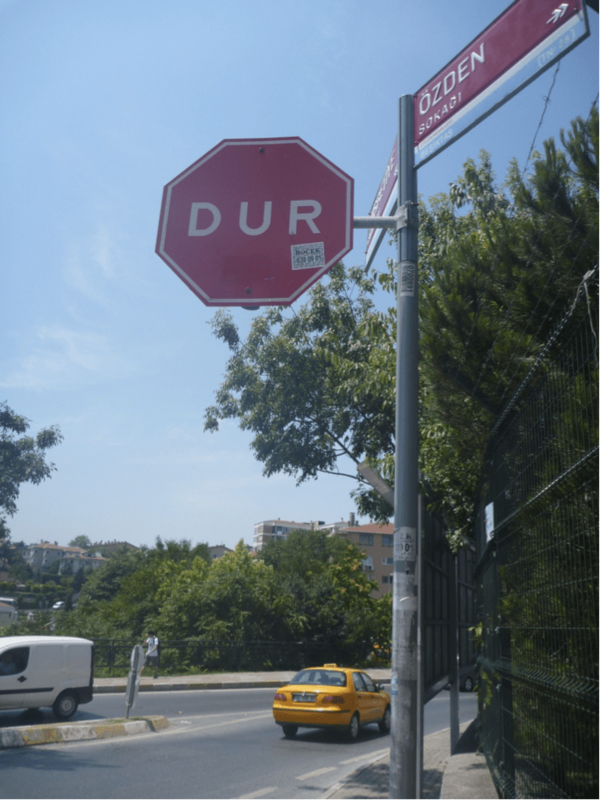 Since it hovers right between Europe and Asia, many people in Istanbul know several languages. Anyone who is in sales knows at least 8 languages which is essential for them selling a product. 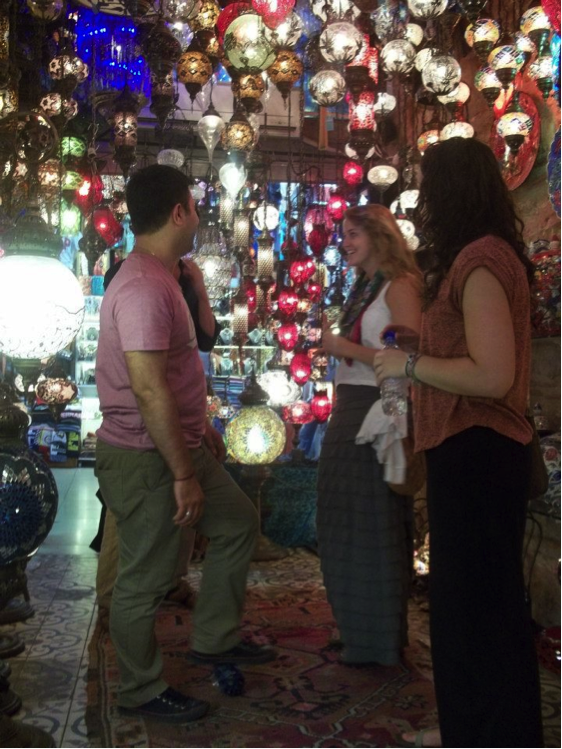 In the Grand Bazaar, one of the largest and oldest covered markets in the world (over 3,000 shops! ), the salesmen (yes, they are all men) will look at you and begin speaking to you in whatever language they think you speak. In my experience, they usually go for Spanish, then Italian, then English. Fluency in many languages is essential for bartering. I did not know any Turkish before I came to this country, nor am I taking Turkish classes while I’m here. Boğaziçi University was founded in 1863 as the American “Robert College.” Since then, it has left American hands and has become Turkish, but the university classes are entirely taught in English. Since it’s not necessary for my studies, I’m learning the language as I go. This is allowing me to reflect on what I see as important in my daily life. It’s funny to see what catches on quickly in my head, like sherefe, and what is not on the “first five” list- like yes or no, or bathroom/toilet. While we have struggled with the language barrier, I have found that the way Turks and Americans structure their lives is similar enough to be able to navigate through the foreign language. For example, menus are generally structured the same so I can just point and something good will come out. Also, there are some universal shapes and symbols I can rely on like bathroom pictures, exits, entrances, grocery store pictures, things in public transportation, and other signs. Although I am making it by without knowing Turkish, I do wish I was able to take the class at the university to engage with the locals more. It’s one thing to talk to them in English (which they do well) but I can speak English to someone at home too. I highly recommend anyone reading this going to a foreign country to take the language course (if you can) and use it, even though its nerve-racking. The only way to learn the language is by making a mistake or two! I certainly didn’t get teşekkürler (thank you) right the first few times I tried to use it!